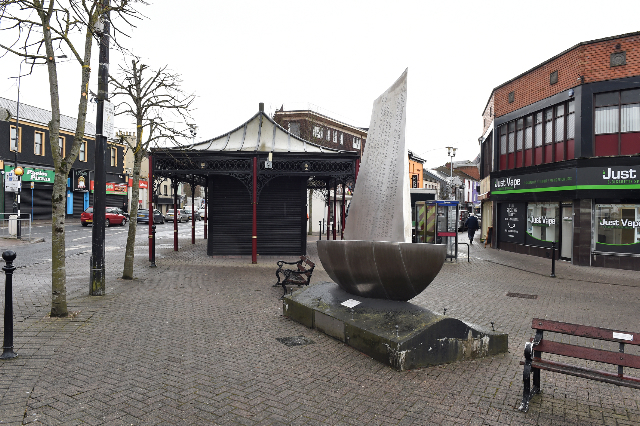 AN innovative and wide-ranging new project could soon see Strabane become a dementia friendly region. Launched this week with an information coffee morning at Strabane and District Caring Services (SDCS), in essence the new scheme aims to help locals with dementia live “better and for longer” within the community. SDCS has now entered into a partnership with DEEDS (Dementia Engaged and Empowered Derry and Strabane) to roll out a project over the next three years. “The aim of the project is to enable people living with dementia to live better for longer within their own communities and to progress the Strabane area as a dementia friendly region,” a spokesperson for SDCS explained. Another facet of the scheme will be the “development of new models and tools of care delivery”. The spokesperson continued, “The numbers presenting with dementia are increasing steadily and where the desire is to maintain those living with the disease in their own home and community, this in turn requires increased support, tolerance and understanding. The individuals and particularly family members have told us that they do not understand the illness, how it progresses and what they might do to make life easier. As a partner in this project, SDCS’s aim is also to portray dementia in a positive manner showing that people living with dementia are valued members of society. “In our daily work we engage with high numbers of individuals living along with or experiencing the onset of dementia,” the spokesperson said. “We have also established the need for family members’ support mechanism requirements, when a family member has a form of dementia in dealing and coping with it.